The Neighborhood of Make-Believe is full of friendly faces. Get to know them all in this board book with tabs! 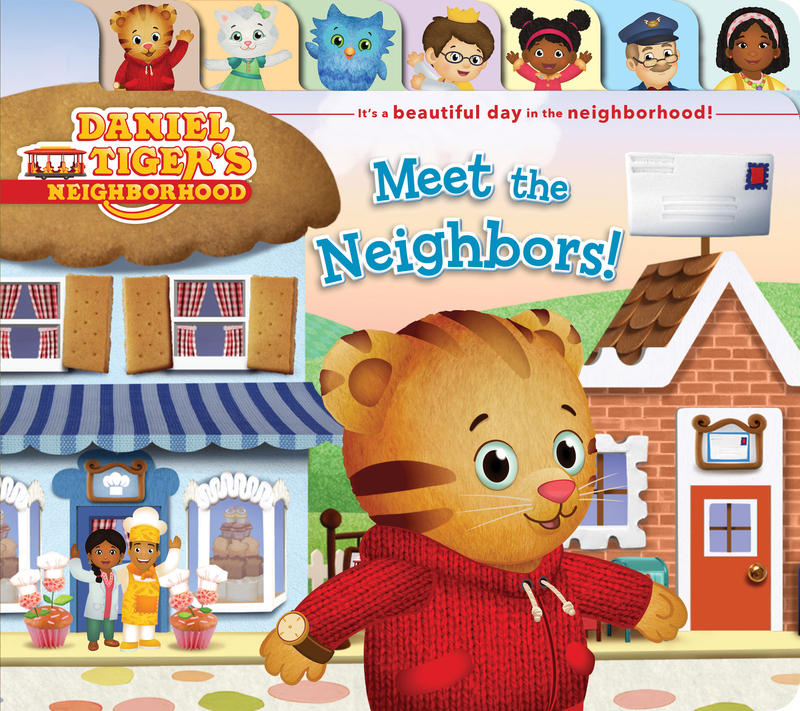 Get to know all of the friends in Daniel Tiger’s Neighborhood! Soon they’ll be your friends, too! This sturdy board book features a tab on every spread, each featuring a different neighbor from Daniel Tiger’s world. Book Cover Image (jpg): Meet the Neighbors!